The NBA and Nike unveil the ‘Statement’ edition uniforms for the 2017-18 season. LOS ANGELES, Calif. –Ushering in a radical evolution of the fan experience, NIKE, Inc. and the NBA today unveiled three new innovations: the Nike NBA Connected Jersey, the first NBA jersey that gives the wearer an all-access pass into the world of their favorite team and players; Statement Edition uniforms; and the Nike Therma Flex Showtime Warm-up Jacket, the first hooded jacket to be worn on the court during gametime. The official announcements took place at an event in Los Angeles attended by players from all 30 NBA teams. Using new NikeConnect technology, each adult-sized Nike NBA Connected Jersey will have an embedded NFC (near field communication) chip that will launch real-time team and player content such as pregame arrival footage, highlight packages and top players’ favorite music playlists – all on the jersey owner’s mobile device. Throughout the season, a wealth of exclusive offers and experiences will bring fans closer to the game they love. 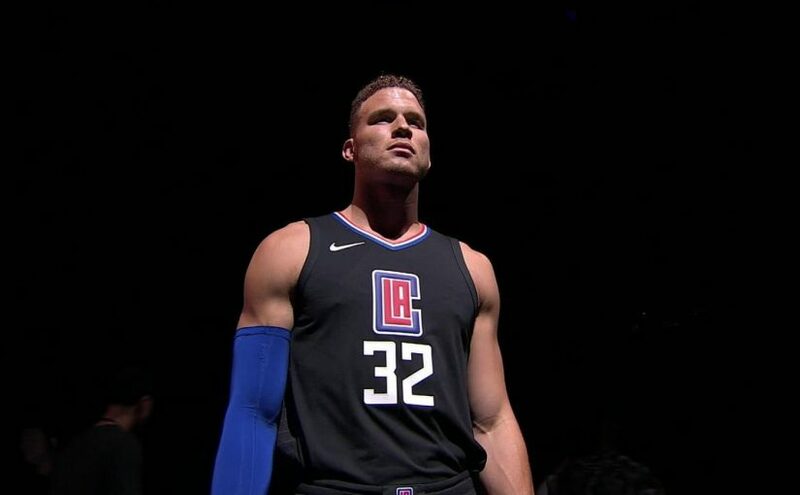 Nike and the NBA also unveiled the third of four core team uniforms – the Statement Edition, inspired by teams’ desire to make a bold statement the moment they step on the court. Nike’s designers worked with the teams and the brand’s roster of athletes to create new and updated uniforms for this third edition. In addition to the new uniforms, Nike and the NBA debuted the Nike Therma Flex Showtime Warm-up Jacket,the first on-court warm-up jacket with a performance hood. Celebrating the style of the game, Nike designers refreshed a beloved apparel staple into a new performance product for athletes on and off the court. The jacket, created with new Nike Therma Flex fabric, helps athletes maintain the right body temperature during pregame warm-ups and downtime during a game – a critical element for peak performance. Developed with input from top NBA athletes, the reimagined hood allows for optimal vision, hearing and warmth, delivering a greater intersection between performance and style – a key request from NBA athletes. The Nike NBA Connected Jersey is available exclusively online starting Sept. 29, and the Nike NBA uniforms and Nike Therma Flex Showtime Warm-up Jacket will debut on-court on Sept. 30, the start of the NBA preseason. All Statement Edition jerseys will be available at retail on Nov. 20, and will begin being worn on-court on Nov. 25. A new database managed by the Bill & Melinda Gates Foundation is providing opportunities to better understand priorities for funders supporting innovative health projects. Years in the making, the Grand Challenges Award Repository provides information on 2,009 projects that have been through funded seven innovative health initiatives since 2005 — including five grand challenges, Saving Brains and Saving Lives at Birth. To understand how these initiatives are helping the development community in Going for Goals, Devex has analyzed the data and produced a visualization tool to unlock critical insights. The Devex analysis of the dataset reveals infectious diseases tops innovative funding support according to the dataset. Since 2005, this sector of development health has received more than $550 million in funding for 1,057 projects providing new and innovative ideas to tackle, prevent and eliminate infectious diseases in the developing world. Of the diseases the projects aim to support, HIV projects dominate, accounting for 199 projects and almost $100 million in funding since 2005. The peak for HIV projects was in 2011, where 44 were awarded funding. Malaria and tuberculosis projects are also high priorities for funders, according to the data, each receiving $51 million in funding support. Funding for maternal and child health follows behind infectious diseases in priority, with $136 million in funding since 2005. And a long way behind that are mental health and WASH, both receiving $22 million in support since 2005. With 1,300 projects in the database managed through the Bill & Melinda Gates Foundation, the focus on infectious diseases is unsurprising — it is a high priority for the organization. So far, they have invested $357 million into this area of innovative research. The Foundation for the National Institutes of Health has also been an important source of funding for this area, managing $178 million worth of grants for infectious diseases since 2005. But the dataset also shows that funding in support of innovation is allowing for experimentation and risk. For Grand Challenges Canada, 593 projects were classified as a “proof-of-concept” with 38 classified as “transition-to-scale.” Innovative funding for health is allowing for true innovation and impact of new ideas to be determined. What is the geographic distribution? The location of funding recipients shows a large sway toward research from the United States. A total of 771 projects have gone to the U.S., accounting for $393 million in grants. And a massive 86 percent of this goes directly to research and projects for infectious diseases. The United Kingdom is a long way behind in second, with $93 million in funding followed by Canada with $57 million. Kenyan organizations have secured $34 million in funding and are ranked fourth in recipients, ahead of Germany and Australia. In looking at the geographic location of projects, India tops the list in both number of projects (98) and funding (almost $20 million) thanks to Grand Challenges India. 2014 was their peak year for funding, with 36 projects accounting for $6 million. Maternal and child health is a focus for India-based projects, accounting for 26 projects and more than $8 million in funding. Close behind are projects responding to infectious disease — 25 projects and more than $4 million in funding. Kenya and Uganda round out the top three for both number of projects and funding, with projects operating in these countries prioritizing maternal and child health needs within their borders. Canada is the only western country to make the top 10 — ranked sixth for projects but 15th for funding with Grand Challenges Canada an important source of this. Additional geographic data is available in the dataset that identifies countries supported by projects, however this is a field that is not predominantly populated within the database and provides only minor insight into impact. It is an area of the dataset that is hoped will be improved over time. Click here to explore the Grand Challenges Award Repository data through our Tableau data visualization. 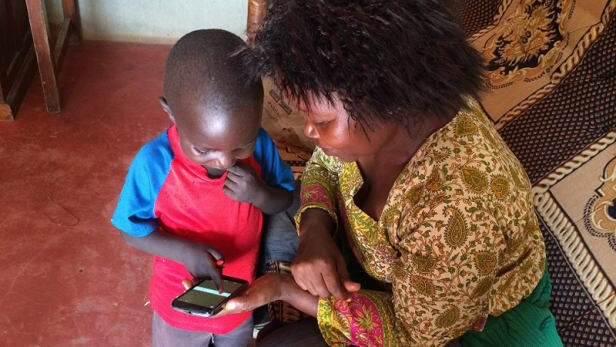 Zach Charat, from the global health, discovery and translational sciences with the Bill & Melinda Gates Foundation, spoke to Devex about the purpose, development and future for the data repository — which he describes as been a long and demanding process. Information within the database is provided by the managing organization of the grants, and the process of tracking funders and getting them to agree to the data fields for inclusion highlighted the issues with data collection on innovative funding. Where the money goes, where the work is being done and potential beneficiaries are useful pieces of information that are available within the database, but not necessarily populated universally by the data providers. And the ease of accessibility to information makes this a valuable dataset for the development sector. What is the next stage for innovating funding data? Now that the data is available, the priority is to convince the development community it is an important initiative to get behind and add even more value to the data. But there are also a range of options being trialled and tested for dynamic inputs, outputs and analytics. Analysis in understanding the next stage of needs is important to progressing the database moving forward. The first generation of users are primarily funders who just want to understand what their colleagues are doing. Charat will be helping to scope the second generation use case of the site to identify and provide future services. And increased datasets is also a priority in development. For Charat, the possibilities of the stories and successes that can come out of the dataset are endless. “Once you get a good foundation of data, you can go crazy and dream up all sorts of really fun and potential applications,” he said. 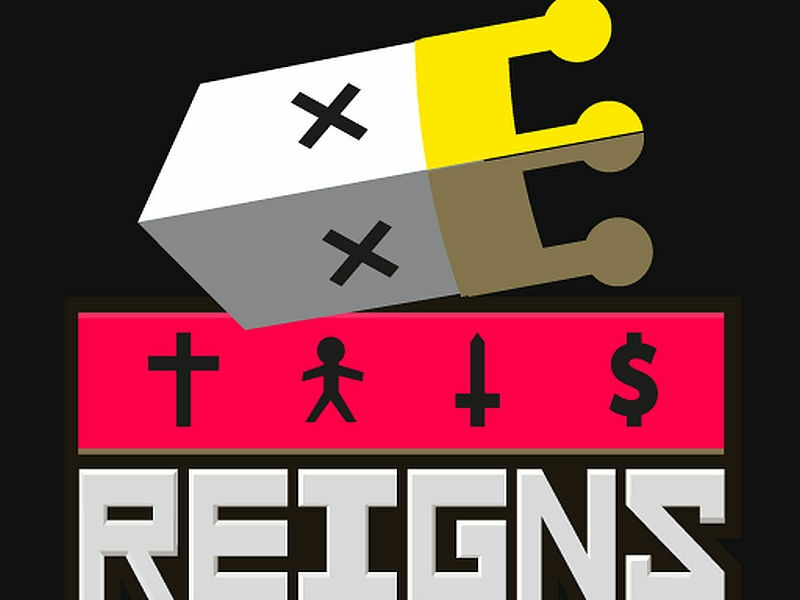 Reigns is a new mobile game where you play as a king who has to make decisions that will determine the fate of your kingdom. It’s brilliantly suited to mobile gaming because the interface is like Tinder – you’re presented with cards that have different advisors’ faces on then, and you typically have to swipe right to say yes, and accept what they are saying, or swipe to the left to say no. There’s a little more going on, but that really is at the core of Reigns, and despite the simplicity, this game is addictive. Though Tinder is an obvious point of reference – after all, it’s a game about swiping left or right and then living with your choices – another way of looking at it is that the developer Nerial has stripped away all extraneous layers and drilled down to the core of what a game is – there is no disjoint between the story and the gameplay because the narrative choices you make are (almost) all there is to the gameplay. The events of the game are taking place thanks to an ill-conceived deal with the Devil, and when you start your reign, the game will hold your hand for a little while, and lay out the bare details of the plot. The rest of it is something that you will discover as you play, and there are a lot of different possible ways for things to play out, including what feel like dozens of ways to die. Death isn’t final in Reigns though – it’s merely the end of one chapter, and the start of another, as your successor takes the throne and must go through the same kind of choices that you face. Actually seeing the game all the way through is going to take multiple playthroughs, and the “good” ending is incredibly hard to reach. In the game, the Devil makes three appearances – once in the year 666, then again after 666 years in 1332, and 1998. After that, he’s gone and he’s not coming back – you can keep playing, to try and achieve some of the other goals of the game, or you can just reset the game and start over to try and beat the Devil in 1998. The interesting thing about Reigns though is that the journey definitely matters as much as the destination. Although the swipes are usually simple yes/ no decisions, some of the requests can have more nuanced answers, so you want to read the text carefully to make your decisions. Some of these can be quite tricky – for example, when monks start biting people, do you have the Church look into it, or do you call for the army? Should you send spies to foster unrest in neighbouring kingdoms? And when is it a good idea to charge money from the people to allow them to watch you use the bathroom? To help guide you in these decisions, the game has four different factions (Church, People, Army, Merchants) you must balance in order to stay on as king – the leaderboard just shows how many years you ruled – and whenever you are about to make a decision, you’ll see a little symbol above the icons of the factions letting you know that it’s going to be affected. The symbol doesn’t tell you if the effect is going to be positive or negative until you’ve made the decision, though it’s generally (though not always) easy to figure out. But it’s not enough to make everyone happy all the time. Make them too happy and your people are going to turn on you, the church will martyr you, the army will stage a coup, or the merchants will choke you to death on cake. Make anyone too unhappy and you’ll meet a sad end soon enough as well. Each of these endings comes with a hilarious card that shows your fate, before the next king takes the throne, and seeking out the different cast of characters who will present you with questions, and finding all the different ways to die, are strong motivators to keep playing. The gorgeous art of the various cards, with the highly stylised yet instantly recognisable figures on them, is another reason to play, as is the backing audio. There is no voice recording – no doubt as a cost saving measure, since there is a lot of dialogue – but this works in the game’s favour. The different characters all have some nonsense noises that they make when their cards are presented, and this makes them fairly universal, without getting in the way of swiping through quickly when you feel like it. The catch is that with a finite number of cards at hand, at some point, things start to get repetitive. Luckily, the developers thought of this too, and there are a couple of unique twists that they bring into the game that keep it feeling fresh. For one thing, there are a lot of mysteries to solve and these can only be understood after exploring the written dialogue many times – this encourages replay without things getting boring. There are also special events – eating different mushrooms you find can have special effects, while old age can make it really hard to progress, and taking a lover can restrict your choices in some ways. Beyond that, there are special events, such as setting up colonies, or starting a crusade. While typically the amount of time you take to make a choice doesn’t matter in the game, these types of special events cause second by second changes in your popularity with different factions, and too much or too little support from any one of them can lead to your death, so you suddenly have to start swiping at breakneck speed, while trying to avoid outcomes that will lead to you losing your neck. Dying doesn’t fix things either, as your heirs will inherit your crusades or colonies. It’s a great decision by the developers that keeps you on your toes even after you’ve played the game a few times. Overall though, the real strength of the game is the crisp and enjoyable writing that’s full of sly jokes, which play on your expectations and tell a novel story in a completely new way. Reigns might be a choose-your-own-adventure novel by way of Tinder, but it’s a great match, and it feels incredibly comfortable on a mobile device. You can also get the game on Steam to play on your computer, and it will not lose much in the process, but there is no denying that this game feels at home on your phone or tablet. We played Reigns on an iPad Pro. It is available for Android (Rs. 200), iOS (Rs. 190), and PC via Steam (Rs. 169). Great story and narrative style. Gameplay is well suited to mobile. Stylish art and music make a complete package. Can get a little repetitive. Randomness can make completing objectives difficult. Limited gameplay might not appeal to some. Technology is constantly changing the way we work and interact, but every year there are a few innovations that really break ground. These aren’t necessarily the most polished products – they may need some refining before they achieve mainstream success – but they offer a glimpse of where we are headed, and what the future could hold. 2016 has been an exceptional year for technology innovation, with huge strides made in areas such as artificial intelligence and virtual reality. Gadgets and software that were only just beginning to take shape this time last year have rapidly become features of people’s everyday lives. Amazon Echo is a smart home speaker system with an artificially intelligent virtual assistant called Alexa, which responds to voice commands. Like Apple’s Siri and Google Now, Alexa can play music, control smart home devices, provide information, read the news, set alarms and even tell jokes. Users can install a variety of “skills” (apps) on Echo, that will allow it to perform different tasks and, theoretically, become more intelligent as time goes on. While Alexa isn’t yet smart enough to answer all your questions, the technology offers an intriguing glimpse into the smart home of the future, and how artificial intelligence could become part of our daily lives. Pokemon Go took the work by storm over the summer, with thousands of people taking to the streets to hunt down their favourite virtual characters in real-life locations. While some rushed to catch ’em all, others focused on training their Pokemon and winning battles in gyms – with many cafés and pubs cashing in by setting up “Pokestops” on their premises. The real winner though, was augmented reality technology – which had long been considered virtual reality’s unpopular cousin. On the back of Pokemon Go’s success, many tech and gaming companies – including Apple – are looking again at what can be done with the technology. For years, Apple has been the only smartphone maker to oversee both the hardware and software design of its devices. Many argue that this has given Apple an advantage of rivals such as Samsung, Sony and HTC, which have to adapt Google’s Android operating system to their hardware. Google hopes to change that with the Pixel – the first smartphone to be made entirely by Google. The Android software is tailored specially for the hardware, making it run incredibly smoothly. While some have pointed out that the Pixel’s hardware isn’t quite up to the standard of the Galaxy S7, it’s a very respectable effort from Google, and a comfortable competitor to the iPhone 7. Fitbit has long been the king of wearable technology, but fitness trackers only work properly if you wear them all the time – and that includes in the shower, the pool, in bed and on a night out. 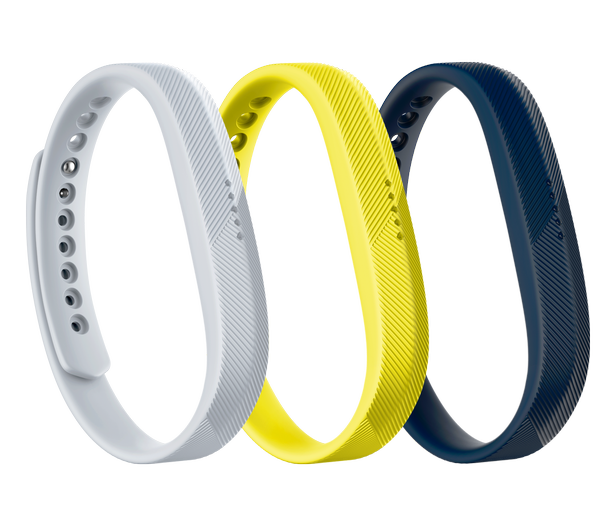 The company’s Flex 2 is designed to be ultra adaptable. It’s “swim proof”, so you can take it in the pool, and the sensor can be removed from the rubber band and put inside a metal pendant or bangle for a night out. The jewellery range is still fairly limited, and perhaps not to everyone’s taste, but by making it easier for people to wear their sensors all the time, Fitbit is moving a step closer to continuous tracking.